Hey Beautiful Person - Vector Hand Drawn Lettering. Calligraphy Phrase For Gift Cards, Sign, Scrapbooking, Beauty Blogs. Typography Art. Royalty Free Klipartlar, Vektör Çizimler Ve Stok Çizim. Image 118612141. Stok Fotoğraf - Hey beautiful person - vector hand drawn lettering. Calligraphy phrase for gift cards, sign, scrapbooking, beauty blogs. Typography art. 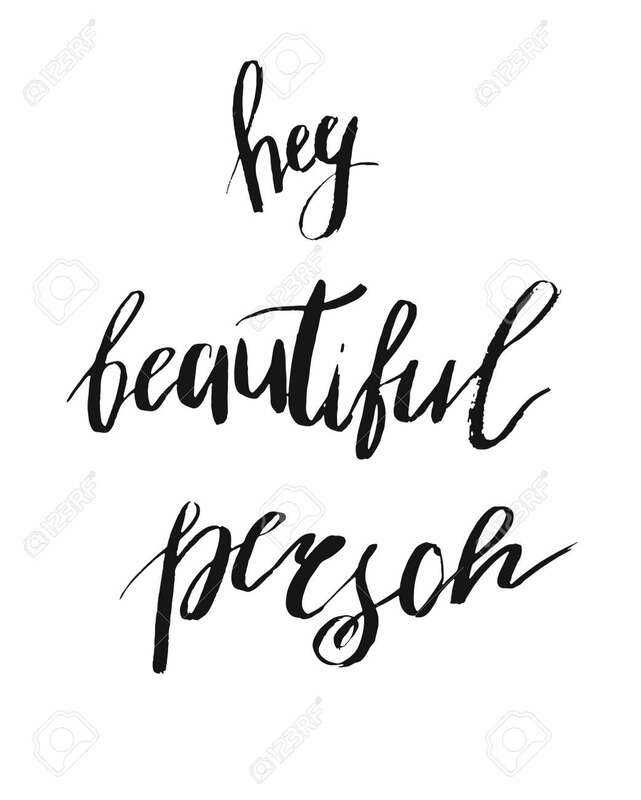 Hey beautiful person - vector hand drawn lettering. Calligraphy phrase for gift cards, sign, scrapbooking, beauty blogs. Typography art.